Association of Architecture Organizations (AAO): The position of Projects Leader is a new one for the AF. Can you talk about some of the institutional reasons for creating a new position like this one, and the hoped-for impact? Finally, was there a strategic reason for combining oversight of programs, volunteers, and research? Eleanor Howard (EH): The Architecture Foundation is 25 years old, however it has recently been effectively started from scratch as a response to a lack of public funding. I’m the fourth member of a team of core staff comprising of Ellis Woodman (Director), Phineas Harper (Deputy Director) and Matea Vslaskalic (Office Manager), who have been rebuilding the organisation for the past two years. Since the restructuring we’ve had a lot more private support from architects, allowing our output to grow considerably. Our reach is expanding, with big events such as the recent lecture by Ryue Nishisawa capturing an audience of almost 2000 people, and it feels like there’s a real appetite for what we’re doing at the moment. I think it’s important to us to maintain enough staff to provide meaningful programme without taking agency away from our members. Although we are a small, dynamic team, we have a large network of volunteers and trustees who allow us to punch well above our weight. My role is in part to consolidate this network, which is growing by the day! AAO: Speaking of research, what kinds of research initiatives is the AF looking into this year, and how does this fit in with the rest of your role? EH: One of the topics that I see as absolutely key to our work campaigning for a better built environment is housing. We are looking at housing both in response to current events, such as party manifestos leading up to the UK General Election, and long standing assumptions, such as the rationale behind regulatory documents that define the way that our homes are designed. We will soon be publishing a book that poses a challenge to guidelines such as the London Housing Design Guide - an unrivalled survey of homes across London that break the convention of the nuclear family unit. Students and volunteers will be among the team of people contributing to the vast amount of research and data collection needed to make this survey as relevant as possible. AAO: The AF announcement says you'll be developing the organization's growing network of student members and volunteers. For a variety of reasons, students can often be a challenging population to engage. What aspects of AF's program approach or content do you think attract students? 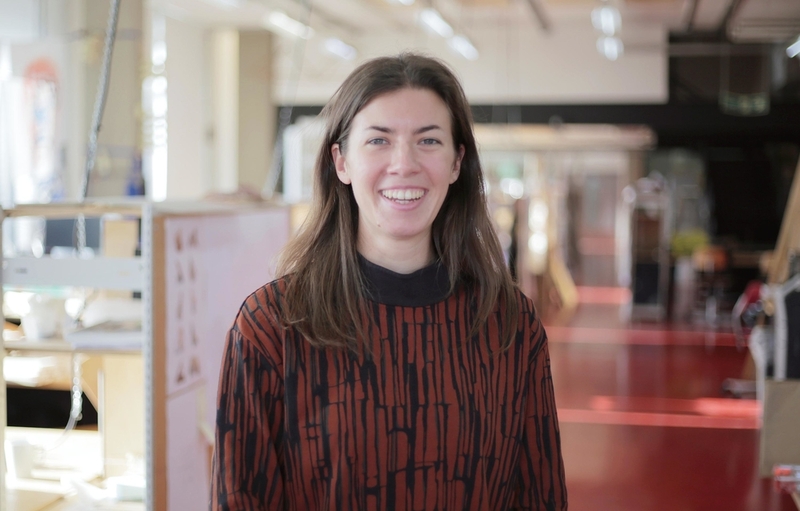 EH: As a recent graduate I’m particularly excited about the potential of those who are at the start of their careers in architecture and the ways in which The AF can support them. My appointment coincided with our move from the CASS to the Royal College of Art, who are the latest London architecture school to host us. The first project that I led as part of this new partnership was the Megacrits - a series of events that brought students and tutors together from different schools to crit together, facilitating open dialogue and collaboration. Not only did these events give students a unique perspective on their own and other institutions, I think it also reinforced their agency as individuals. The Megacrits are due to repeat next year in line with our growing database of studio briefs for those studying Part II, which piloted this year and will soon include entries from English speaking architecture schools around the World. AAO: We understand that you ran a lecture series on humanitarianism at The CASS when you were a student there? Given your more recent work as a practicing architect, did this programming experience draw you to the position at AF on a personal or professional level in any way? EH: The Who Cares? lecture series at the CASS was intended to bring together advocates and critics of humanitarian architecture - questioning what it means, how it can form someone’s career and the ethics of working in developing countries. Having been adopted by a new pair of students it is now in it’s second year and has been a catalyst for some great live projects and collaborations. In my role as Projects Leader I’ve been able to draw on a lot of the experience I had gained prior to joining The AF, from programming the lecture series, to managing large teams of volunteers and initiating student led projects. The AF believes in our collective power as a profession brought about by people connecting with one another, be it at a lecture, party or other event. These initiatives are important if we are to make meaningful contributions to our built environment - they broker conversations, bring like minded people together and ultimately facilitate interesting projects. AAO: Can you tell us about one upcoming program that you are particularly excited about? EH: I think something we can all be excited about is our new free iOS app, due to launch on 27th June! ‘Guide to the Architecture of London’ maps buildings of architectural interest on an interactive map based on Edward Jones and Christopher Woodward’s original guide, first published in 1983. The app incorporates entries on more than 1000 buildings, dating from the Roman era to the present day, each of which is illustrated with photographs and a critical text. The majority of our programme is aimed at those within the architectural community and I think the app will help us to take steps towards engaging a much wider circle. We are also launching a new series of Architecture Foundation Walking Tours with the same intention, taking in the city’s popular sights from a local architect’s perspective, so our international audience must join us if they’re passing through London. AAO: Is there anything else you'd like the AAO audience to know about? EH: The AF continues to work in partnership with Barbican to deliver the Architecture on Stage series, which has seen some fantastic contributions by Peter Märkli, Ryue Nishisawa and Marie-Jose Van Hee this year among others. We’re also running a brilliant series of talks by internationally renowned architects at the Royal Geographical Society, including Farshid Moussavi, Witherford Watson Mann and a personal favourite, Francis Kéré.